“There’s going to be a lot of opportunity in distressed buying and even activist investing,” said Jeff Dorman, partner and portfolio manager at Los Angeles-based Arca. “Often you can buy below even the cash value of the company." The line is being blurred in the wake of the collapse of the initial coin offering market, where startups were bypassing traditional venture funding by selling tokens directly to investors. 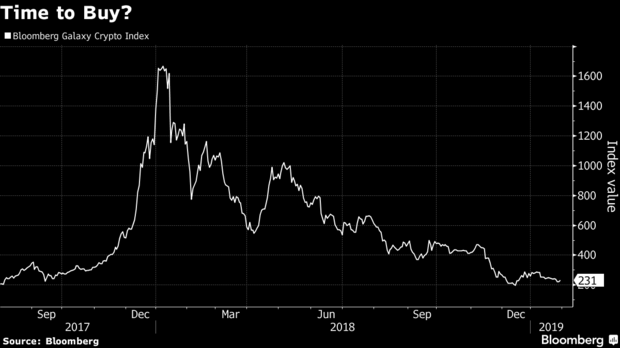 But with a regulatory crackdown raising the risk of forced refunds, and with coin prices plunging as much as 90 percent last year, many investors want out -- allowing the funds to come in and make purchases for cents on the dollar. 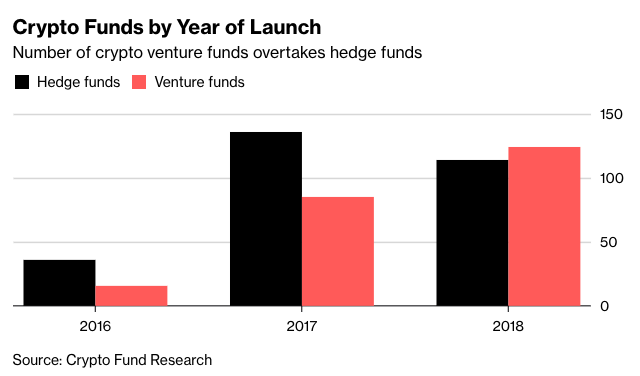 “Funds have silently transformed from hedge funds into venture funds as their liquid portfolios shrank in value, making a very high percentage of AUM illiquid," said Kyle Samani, managing partner at Multicoin Capital Management in Austin, Texas. Multicoin has traditionally done venture deals in addition to investing in tokens, he said. “2019 is going to be the year of separating the wheat from the chaff, and that’s applicable to both projects and funds," said Travis Kling, founder of the Los Angeles-based crypto hedge fund Ikigai, which is evaluating SAFTs. Even with the closures, some hedge fund managers say they’re seeing investor inflows. “We are talking to a lot of institutional investors," said Samani of Multicoin, which in a recent report pointed to private-equity firms as role models. “A lot of smart people who’ve been interested in crypto for a year, two years, and were waiting for it to cool down, are now looking at the space activity." Unlike the quick money made during the ICO boom, investors will have to be patient, and not expect quick returns. Many of the new funds now have lock-ups of two, four or even -- as is the case with Polychain -- seven years. “Like any investment in an early stage technology and in an early stage company, it can often feel like an overnight success when it is successful, while it takes a long time to deploy these technologies," Polychain’s Carlson-Wee said in a phone interview.